Welcome back to inMotion Gaming’s seven part retelling of the Kingdom Hearts saga. In this second installment, we delve into the first game to be made from the franchise, simply titled, Kingdom Hearts. If you happened to miss last week’s first instalment of this series, you can pick it up here. Kingdom Hearts is set ten years after Birth By Sleep, and starts with Sora having a bizarre dream where he experiences what’s called the Dive to the Heart–a dream-like event where a character ultimately faces the darkness within. He eventually wakes up on the Destiny Islands; his home, where he lives alongside his friends Riku and Kairi. All’s well until one night the island is invaded by the heart-devouring creatures of darkness known as Heartless. Riku ventures into the portal of darkness, curious as to what it holds. Amidst the assault, Sora inexplicably obtains a Keyblade—unbeknownst to him, this is a result of the events of Birth By Sleep. While fighting his way through the seemingly endless army of Heartless, he finds Kairi in their secret spot in front of a strange door. The door blows open and blows Sora out of the cave while Kairi disappears. Sora is then faced with the dark creature that he defeated in his Dive to the Heart. He defeats it and is engulfed in the darkness. Meanwhile, King Mickey set out on his own mission to deal with the increasing darkness, while sending Mage Donald and Knight Goofy to find the “key”. They head to the world of Traverse Town to find any leads, which is where Sora happens to appear. Sora awakes in a daze, and is greeted by the classic Disney dog, Pluto. After waking Sora up, Pluto flees. While giving chase, Sora runs into a man named Leon (better known as Squall from Final Fantasy VIII), who says that the Keyblade is the only way to defeat the Heartless. 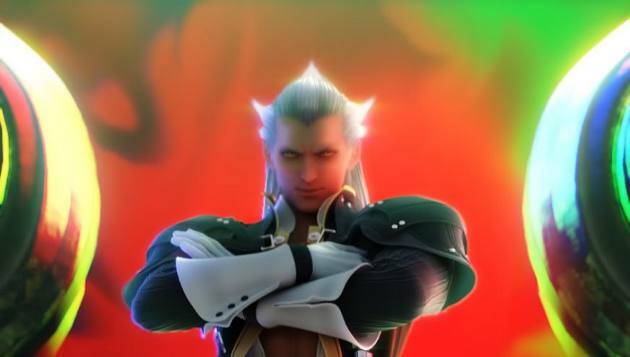 He also notes that the ruler of his home world, Ansem, was studying the Heartless before they took over. Sora then happens upon Donald and Goofy, who identify his Keyblade as the key they’ve been searching for. He is also joined by Jiminy Cricket, who acts as the group’s record keeper. 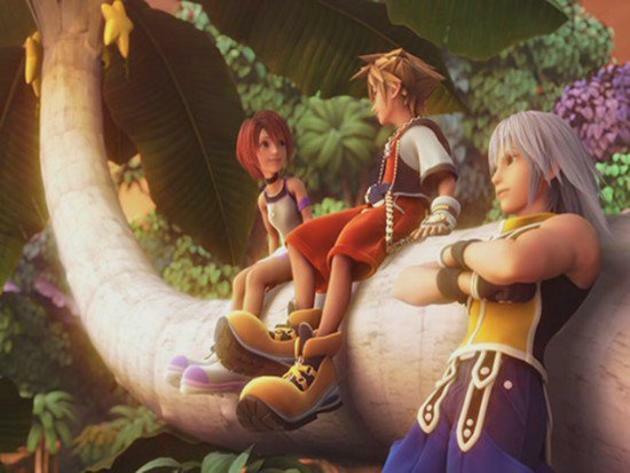 They then decide to join forces to find Mickey, Riku, and Kairi. 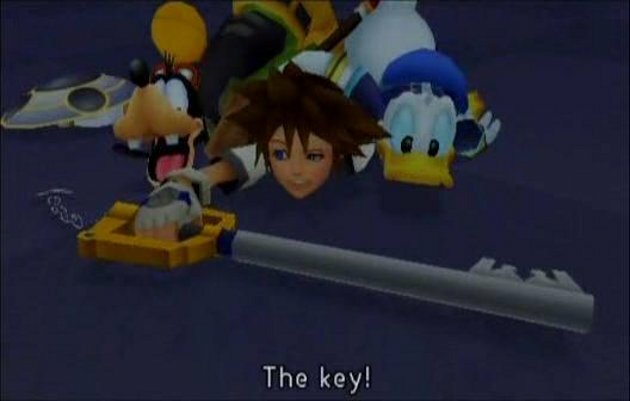 As they travel world to world in their search the trio discovers that the Keyblade also locks keyholes in the worlds, which is how the Heartless were sneaking in to devour the worlds’ hearts. They also run into a group of villains led by Maleficent (of Sleeping Beauty fame), who are looking for the seven Princesses of Heart to unlock the keyhole to Kingdom Hearts. Maleficent has brainwashed Riku with the promise that she will help him find Kairi. Riku falls for her tricks and begins to distrust Sora, but finds Kairi, whose heart is missing. 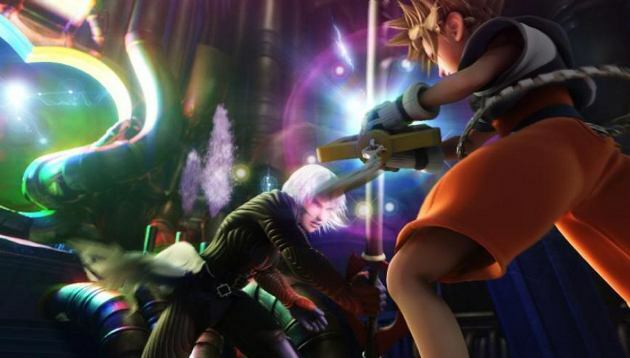 The trio defeats Maleficent, and find Riku once again. He has given in to the darkness and become completely possessed by Ansem. 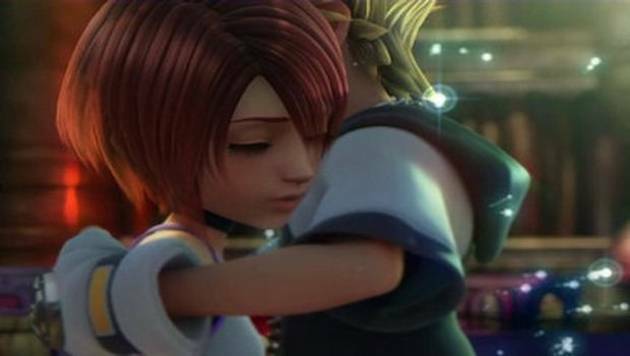 He reveals that Kairi’s heart has been inside Sora ever since they left the Destiny Islands, and that she is in fact the last Princess of Heart. The group defeats Ansem, but Sora can’t seal the keyhole because Kairi’s heart needs to be released to complete the heart of the world. Sora then uses Ansem’s Keyblade to unlock his own heart, thus releasing both of them. This selfless act makes Sora cease to exist—his heart and body were separated. His Heartless is all that remains, although much more catalytic events occur because of this, which will come to play later on. 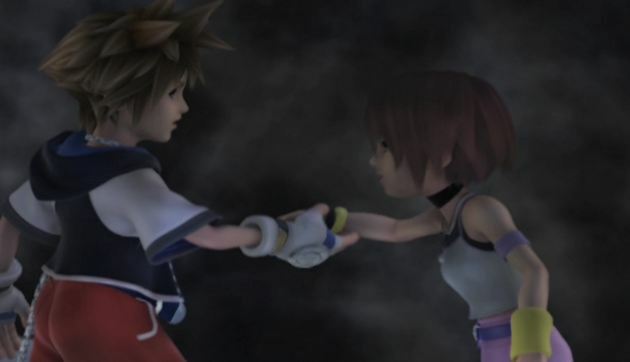 After some confusion and running around, Sora’s heart is returned to him by none other than Kairi, who has the ability to restore hearts due to her status as a Princess of Heart. Ansem has retreated into a dark abyss called the End of the World, the combined fragments of worlds taken by the Heartless. Upon his defeat at the hands of Sora and his companions, he explains that darkness is the heart’s true essence, and he seeks Kingdom Hearts, the source of all hearts– the ultimate source of darkness. When he opens the door, Light pours out and kills Ansem. Riku and Mickey turn out to be on the other side, and help Sora close the door, trapping the two inside. Sora and Mickey then lock the door, which causes all the worlds to reconstruct themselves, and Kairi is pulled back to Destiny Islands. Sora, Donald, and Goofy then resolve to find Riku and Mickey. They find themselves in a bright, hilly field. Not long after, they happen upon Pluto, who has a note with the King’s seal and chase him into the distance, while a silent narrator tells us that Sora’s destiny is to open the door to light. Be sure to keep it here at inMotion Gaming next week, when we detail the interluding events of Kingdom Hearts: Chain of Memories.